Background While there is clear evidence for the benefit of statins in the secondary prevention of cardiovascular and cerebrovascular events, there is a lack of research on the effects of statin regimens in older patients aged 75 years and over. Objectives To compare the effectiveness of statin regimens in the secondary prevention of ischemic cardiovascular and cerebrovascular events among patients aged 75 years and over. Setting Claims data from the South Korean National Health Insurance Database from 2006 to 2014. Methods This retrospective cohort study included patients aged 75–100 years with a prior history of cardiovascular or cerebrovascular disease who began statin therapy in 2009–2011. Propensity score matching and the Cox proportional hazards regression model were used to compare the effectiveness of the statin regimens in secondary prevention. Main outcome measure The hazard ratios for ischemic cardiovascular and cerebrovascular events and all-cause mortality. Results Neither high nor low-intensity statin therapy significantly differed from moderate-intensity statin therapy in preventing ischemic cardiovascular and cerebrovascular events or all-cause mortality. Of the moderate-intensity statin therapies, the use of 10 mg rosuvastatin was more strongly associated with a reduced risk of ischemic cardiovascular and cerebrovascular events than was 10 mg atorvastatin [HR 0.79 (95% CI 0.64–0.98), p = 0.029]. 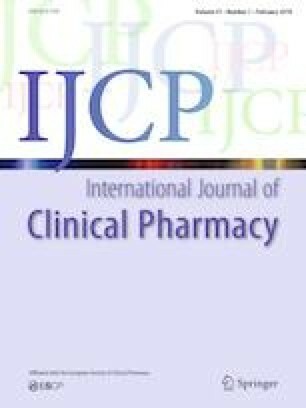 Subgroup analysis revealed that the protective effects of 10 mg rosuvastatin against ischemic cardiovascular and cerebrovascular events were more obvious for patients who were 75–79 years old, those who were statin-adherent, those who did not have diabetes mellitus at baseline, and those who were non-adherent to aspirin or antiplatelet drugs during the selection and follow-up periods. Conclusion The results of this study support the preferential prescription of moderate-intensity rosuvastatin over moderate-intensity atorvastatin for the secondary prevention of ischemic cardiovascular and cerebrovascular events in older patients aged ≥ 75 years. The online version of this article ( https://doi.org/10.1007/s11096-019-00810-w) contains supplementary material, which is available to authorized users. The authors would like to thank the South Korean National Health Insurance Service for the provision of the claims data from the South Korean National Health Information Database. This study was supported by the National Research Foundation, Korea (NRF-2017R1C1B5018232). The funding organization had no role in the study design, data collection and analysis, decision to publish, or preparation of the manuscript.